I recently had to get some air-conditioning work done at home. The first time that was necessary (years ago, after moving to the US from Scotland where a/c means opening the window), we opted for a relatively cheap and local guy. After that was disappointing we moved up to a less cheap but still local company. Most recently though, after further disappointment, we went to one of the the better big firms and that’s who we called this time. A few observations then, applicable to Professional Services as a whole. So it turned out the job required two people. Technician A arrived first, to see what the problem was and I immediately picked up on two aspects of a poor initial impression. I wasn’t looking for them, but they became apparent very quickly. First, he rarely looked me in the eye. There was nothing shady about him; he just didn’t look comfortable doing what he was doing. 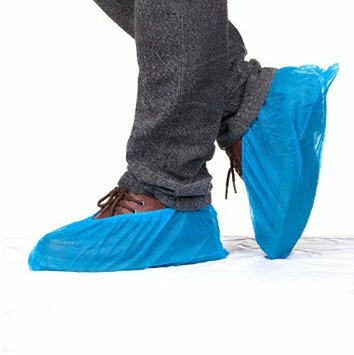 Second, and much more important, he didn’t put on the little carpet-protecting plastic booties that all other techs from his company had done in the past. OK, small unimportant things. Maybe. He then proceeded to investigate and came up with a (correct) diagnosis. He offered me two solutions; replace a component (cheap but possibly band-aid-like), or replace the entire 20-year-old system (expensive but thorough). Unfortunately, he offered me no help in deciding, and so when I chose to go with the cheap solution (since as a non-expert I was unable to justify the more expensive route), I was left feeling uneasy (because although I’m non-expert, I like to pretend that we engineers can understand anything technical 🙂 ). So much so that after a weekend of musing, I called the company to ask for a second opinion. Enter Technician B. Now, Technician B was different from his predecessor from the get-go. He was much more confident, and eye-contact-making. Also, he put on his booties! He then redid the investigation, came up with the diagnosis, but told me there was only one option; the whole system needed replacing. I mentioned the other option, to fix a control board, and he said it was very inadvisable since our old unit was now out of code and its age meant it was probably very inefficient (not least because of heavy calcium build up). I discussed the matter further with him, testing to see if this was simply a sales-friendly technician who’d been primed by his boss with a message of “Client wants to spend more money; go make it happen”. Convinced he was giving me good information, I changed my mind from repair ($600) and ordered the full system replacement ($2000). Attitude matters. Neither of the Techs had a “bad” attitude, but Tech A’s uncertain demeanor set him up for increased criticism when he later failed to offer me advice on choosing a solution. Upselling is neither good nor bad, but the client’s needs make it so. Providing a cheap soution is BAD CUSTOMER SERVICE if the best thing for the client is to buy the more expensive offering. The medical doctor analogy is useful to bear in mind as a guide. If someone goes to the Doc and complains of heartburn, the Doc is doing no one any good by not pointing out that the symptoms are more consistent with esophegal cancer (if, of course, they are). Little things matter, like the bootie-wearing. In an ideal world, maybe they shouldn’t. Maybe we should never judge books by their cover. But, you know, inept design in a book cover can, by signaling lack of money through lack of serious publisher interest, act as a proxy for poor quality. Of course, a tradesman wearing booties actually does have a purpose in that it stops me getting an earful from my wife when she sees his mucky bootprints on the carpet. But more than that it, like the book cover, can act as a proxy for quality, attention to detail, and piece of mind, all of which the purchaser of high grade Professional Services deserves.